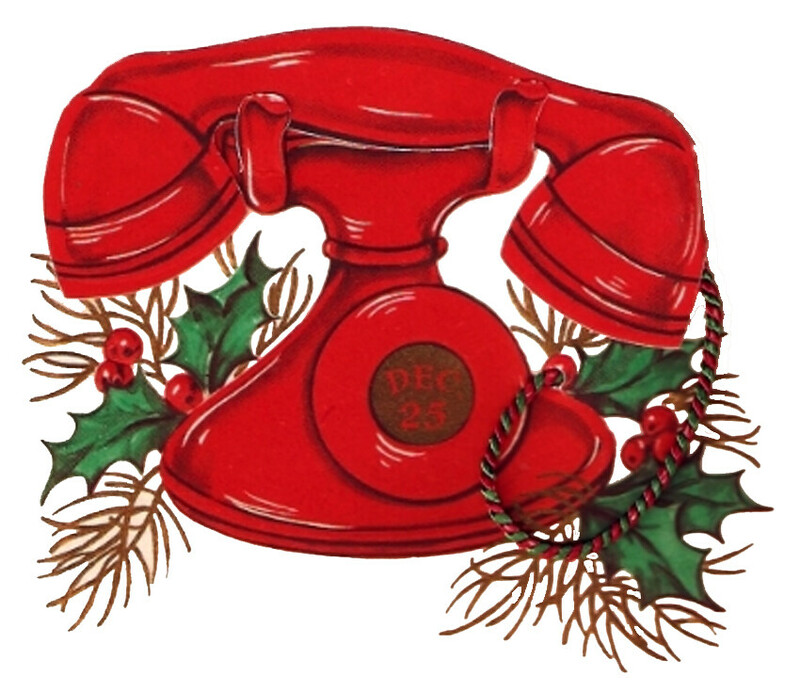 This is a vintage Christmas card image of a retro telephone with holly. I set this image up two ways. 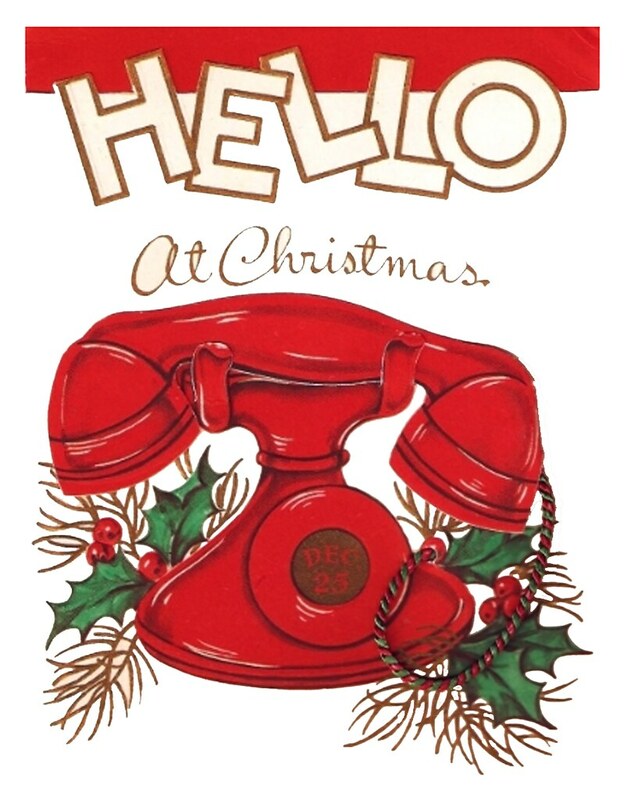 The first image is with the original text and the second is just the telephone illustration itself. Have fun coming up with cool Christmas craft ideas for these!